A lot of you have been asking that I do this tutorial. 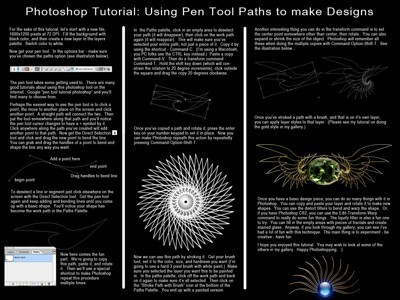 It answers how I create those designs using the pen tool. I hope it's clear and enjoyable. Good luck. Excellent tutorial on a powerful PS tool I have never really understood. Many thanks! Veni. Vidi. Volo in domum meum recedo! Thats awesome. I was looking for something like this the other day...well actually I just gave up without looking. =P Thanks, i may try this some day. Excellent tutorial, Nathan! 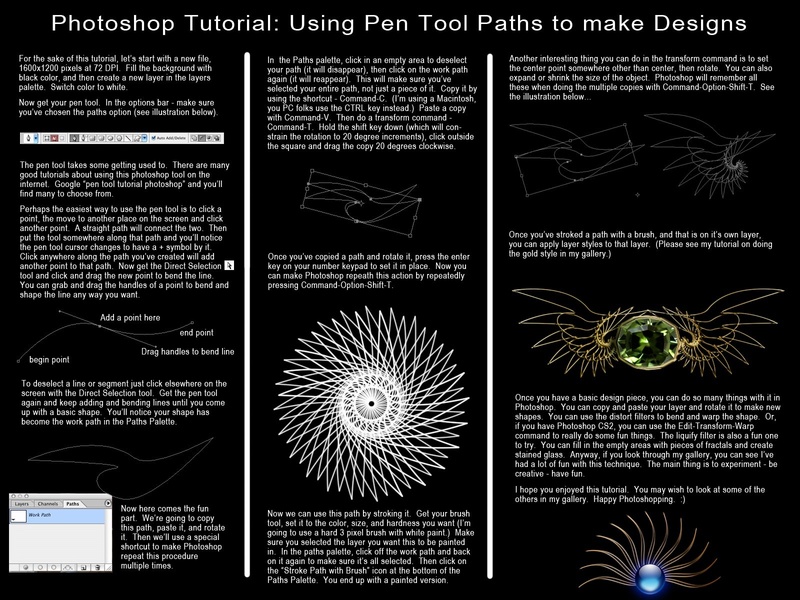 It's very well worded and I'm sure it will encourage many people to have a go with the pen tool, too! This will I also try out, and look what I can do. I will definently use it!!!! Thanks very much for doing it Nathan. I'll look into it. Think it would work with my old version Photoshop 6 ? I'm not sure about PS 6 - it's been a while since I used that one. Give it a try and see. LOL too much thinking involved! Nathan, this is great, good job sharing with others! Have fun! Thanks for stopping by. Oh, excellent! I'm going to have lots of fun with this! THANKS! Very instructive. That's so cool of you to share. Thank you very much. I'm looking forward to trying this out.